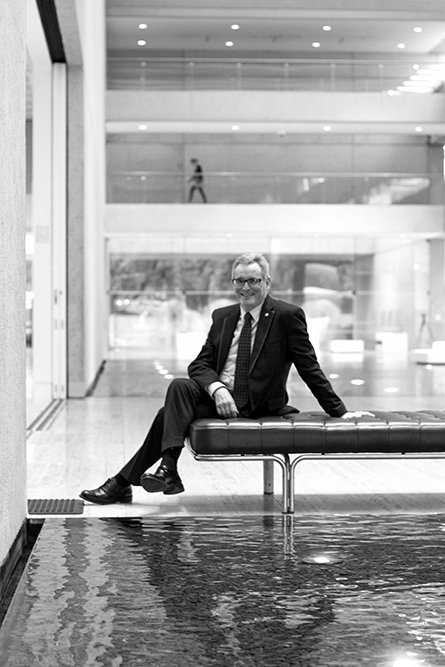 Robin Gibson was Queensland’s most influential modern architect and that influence was, and still is, exerted by his design for the riverside Cultural Precinct at the heart of contemporary Brisbane. Built in the 1980s, this cultural institution exemplifies the city’s renaissance that followed the World Expo 88. Sadly, Robin Gibson passed away earlier this year. 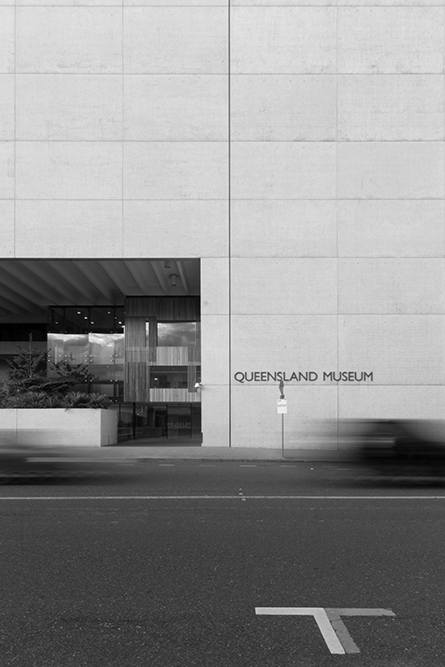 While the effect of his architecture on Brisbane is undeniable, he was also a dominant and polarising figure in the local profession and so his legacy is contested. The architecture of Robin Gibson is consistent, refined, uncompromising and reflects an international-modernism. But his rhetoric was of the human experience and its enrichment through beauty and an appreciation of the received context. If his designs for the riverside Cultural Precinct are his greatest enduring legacy, then the proof must be in their beauty, functionality and enhancement of place. Born in 1930, Gibson studied architecture at the University of Queensland and following his graduation he worked for several years in London. He returned to Brisbane in 1957 and soon started his own practice: Robin Gibson and Partners. His firm employed a number of esteemed Queensland architects, including: Geoffrey Pie, Don Winsen, Peter Roy, Allan Kirkwood, Bruce Carlyle and Gabriel Poole. Much of Gibson’s early built work was for the retail and the residential sectors but he soon amassed a collection of institutional buildings, which led him to work at an urban scale. 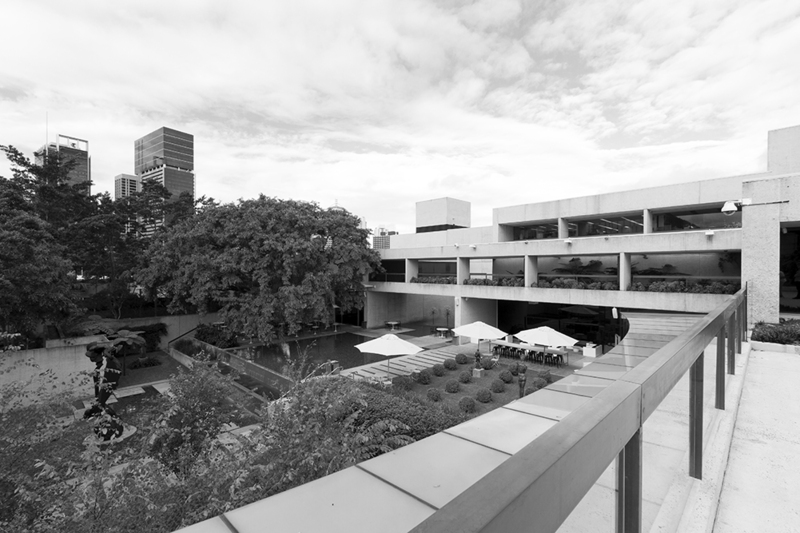 Prominent examples can be found at the University of Queensland’s St Lucia campus as well as the Griffith University’s Nathan Campus and in the Brisbane CBD, a number of office towers and urban gestures, including the pedestrianisation of the Queen Street Mall. 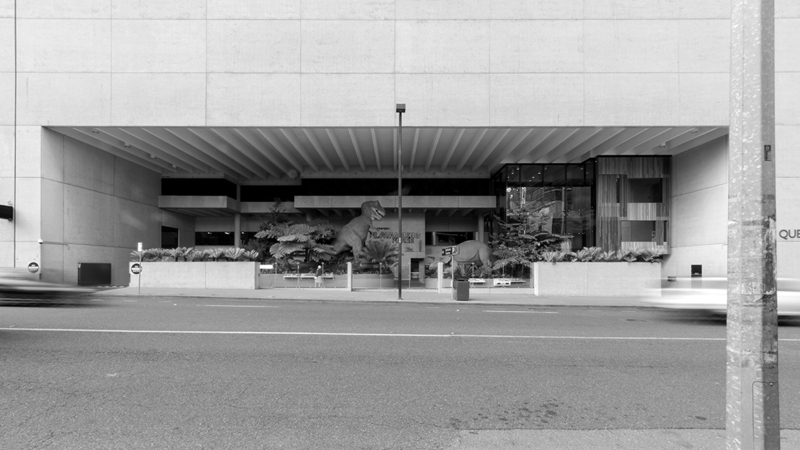 In the 1970s in Brisbane, the wholesale transformation of prime riverside areas was easily engineered. It was during the time of Premier ‘Joh’ Bjelke-Petersen and in the wake of the devastating floods of 1974 that Brisbane had grown wary of the river. The government had acquired swathes of land on both banks of the river in the CBD and many buildings were demolished to make way for the new city. On the northern bank, the Riverside Expressway was installed, its sleek modern form alleviating chronic congestion, but permanently obscuring public access to the city’s iconic waterway and forever condemning it to public apathy. On the southern bank of the river the Cultural Precinct was created, part of what is known as South Bank today, “Brisbane’s premier lifestyle and cultural destination.” South Bank contains the remnants of some pavilions of Expo ’88, a number of cultural venues and leisure facilities (which include an artificial beach) and is a popular destination for tourists and discerning locals who see past the glitter. The plan for this vast urban intervention was extrapolated from the design of a long-awaited Queensland Art Gallery. 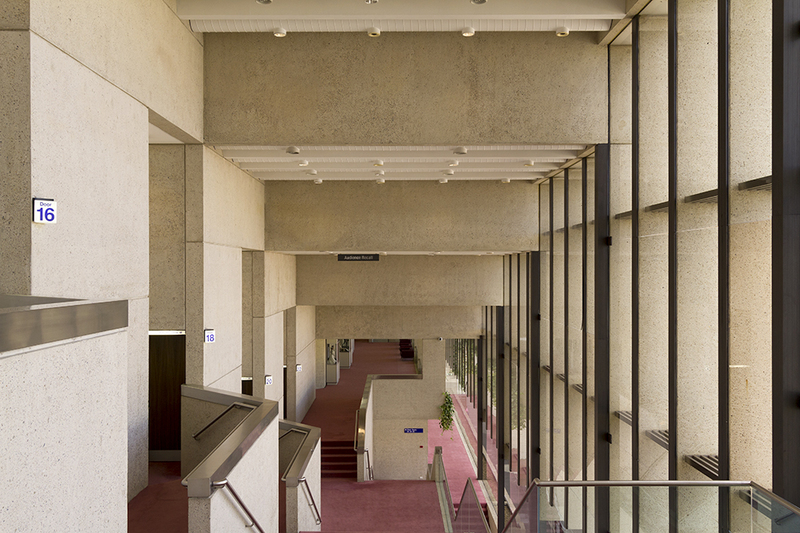 Gibson won a competition for the Art Gallery in 1973, but by 1974 his brief was expanded to include a series of cultural institutions under the guidance of the state. 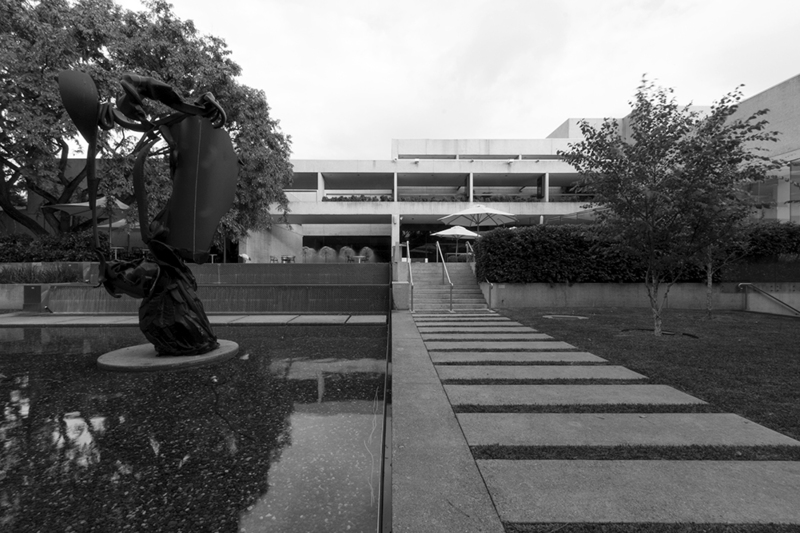 The relatively unchanged Cultural Precinct that remains consists of three main buildings: the Queensland Art Gallery (1982), the Queensland Performing Arts Centre (1984), and the Queensland Museum (1986). The State Library and The Edge educational venue are successful transformations of Gibson’s buildings; they are sited closer to the river and with the Gallery of Modern Art, form the contemporary Cultural Precinct – itself a vision of a more recent political dynasty and similarly affirmed by the public. Does the Cultural Centre perform to Gibson’s intentions? I asked three expert users for their judgement of the buildings and their public reception, thirty years later. Chris Saines, CNZM is the current Director of the Queensland Art Gallery and the nearby Gallery of Modern Art; he has only recently returned from New Zealand where he was Director of the Auckland Art Gallery Toi o Tāmaki. 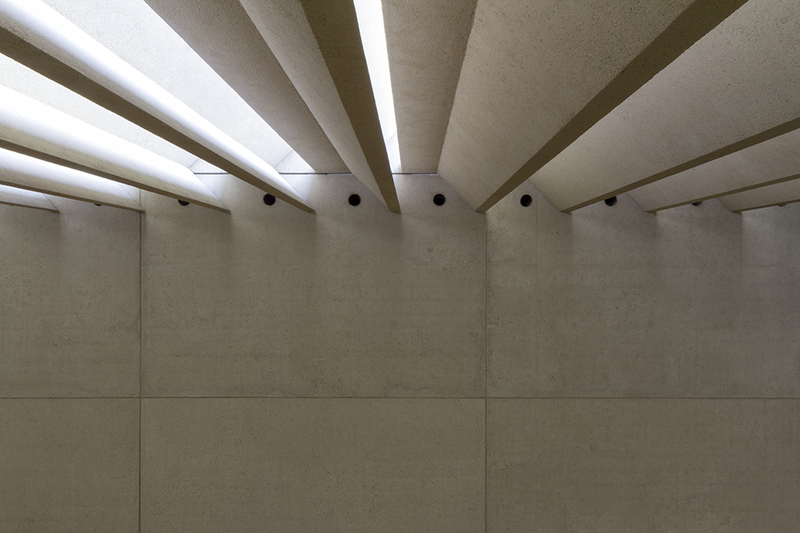 Saines understands the crucial role the architecture of a gallery has in the appreciation of its contents having led the Auckland Gallery through a major facelift, judged the World Architecture Festival’s Building of the Year in 2013. “Bringing art and people together,” Saines says, is the core mission of the Gallery and he takes great pride in the quality of space that was created by Gibson. Nowhere else, he insists is there such a confluence of beautiful, ordered architecture and functional exhibition space. 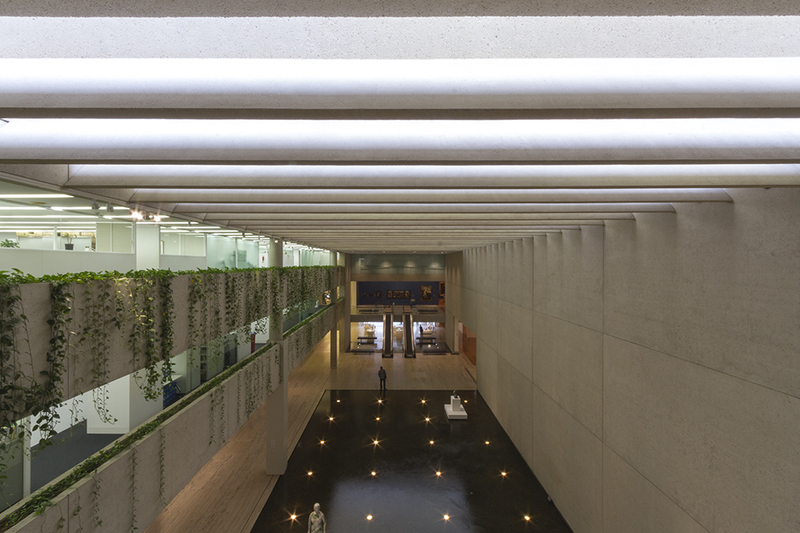 A visitor might not consciously appreciate the classic proportions of the spaces or the design details that allow the display of artworks to occur so seamlessly; but there is a sense of calm and retreat, conducive to the contemplation of art that pervades the building. 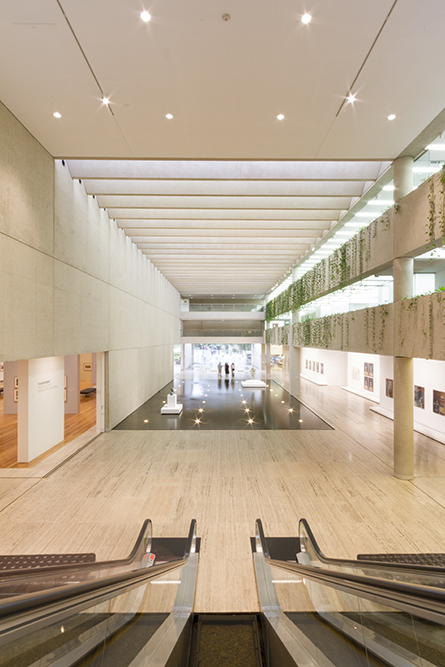 The Watermall within the Queensland Art Gallery provides a point of orientation and connection to place without compromising the core function of the Gallery; it is the most unique and wondrous space in the building. 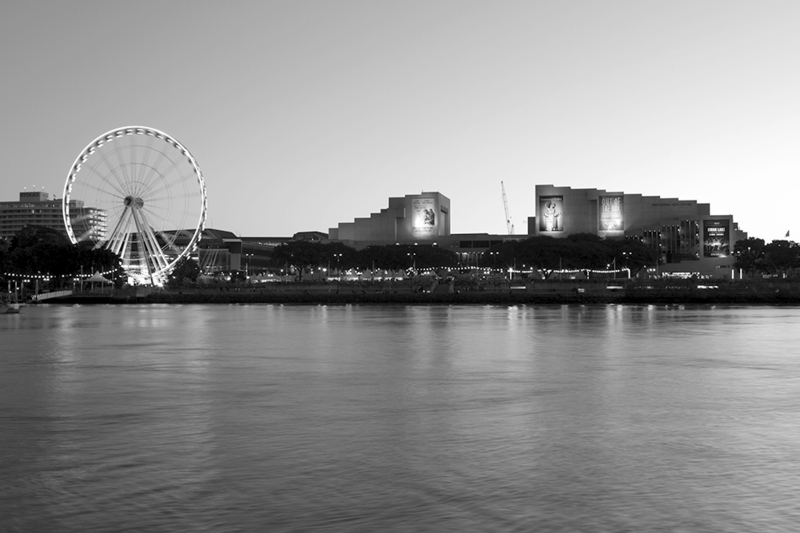 The body of water runs parallel with the river visually links the external courtyards of the Gallery, and as a metaphoric device, originally flowed through the entire South Bank precinct. Saines is no newcomer to the building, having started when the Gallery was in its infancy, but in thirty years the collection has almost doubled and difficulties in circulation have arisen – there is just not enough space. Since his return, Saines has worked to reinstate the Gallery’s connection with its setting and key sight-lines through the Gallery to the adjoining buildings and natural environment have already been re-established. 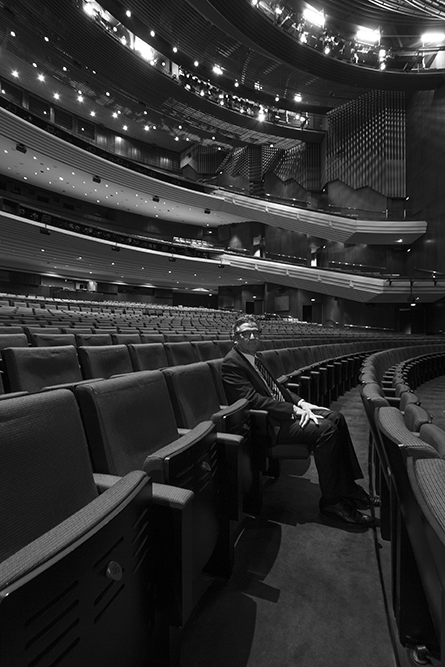 The Chief Executive of the Queensland Performing Arts Centre is John Kotzas and he has worked there since 1989. Its first Director, Tony Gould introduced Kotzas to the building during its construction, unaware he would one day be in charge. When Kotzas started he introduced the wildly successful and enduring children’s event program: Out of the Box, which often broke out of the traditional performance spaces to stage theatre in foyer areas and the surrounding landscape. John Kotzas explains that theatre is two elements: the artists and the audience – and the building facilitates this relationship. Theatre, unlike cinema, is a private experience in a public setting; we are aware of the audience but not distracted and in the Lyric, the Cremorne or the Playhouse we experience theatre in its purest form. Gibson’s design for these theatre spaces focuses the experience of the audience and provides the perfect balance of intimacy and grandeur with control of the distance to the stage and the proportions of the volume. As well as the relationship of those on stage with the audience, a performance is also a collaboration between a number of players, some seen and some unseen. The building is not just loved by audiences but by the artists, production companies and technicians for its attention to the working requirements of a venue. 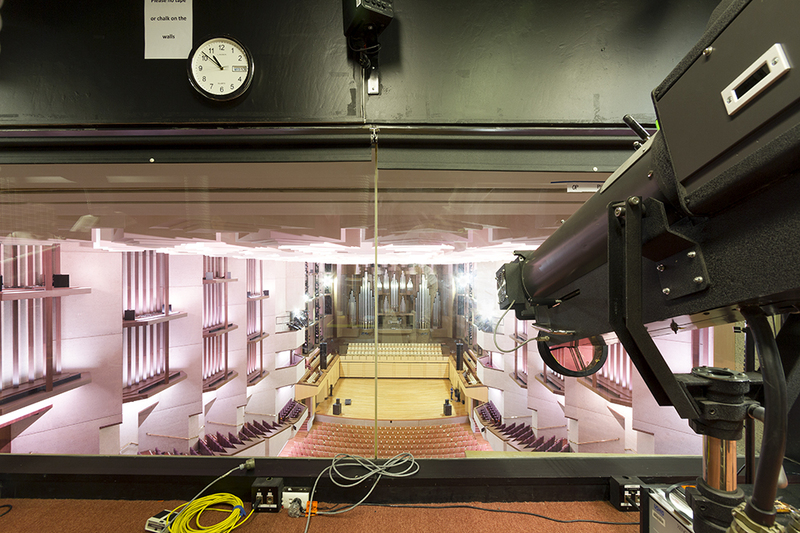 This functionality extends from the depth of the orchestral pit, allowing an intimacy of musician, performers and audience; through to the shared loading dock, at the same level as the theatres that allows for such ease to visiting shows that it is known for the fastest venue turn-around in the country. The theatres have been upgraded since their construction. The main change being the increased requirements of equal access, which has required a new lift core. The addition of the Playhouse, to Gibson’s design fifteen years later allowed the rectification of earlier oversights such as the excessive points of access to the Lyric theatre that increased the need for supervision. But for the most part the building was thoroughly well-designed with a longevity and beauty in its simple materiality, atmospheric quality and a robustness that is borne of its enduring functionality. 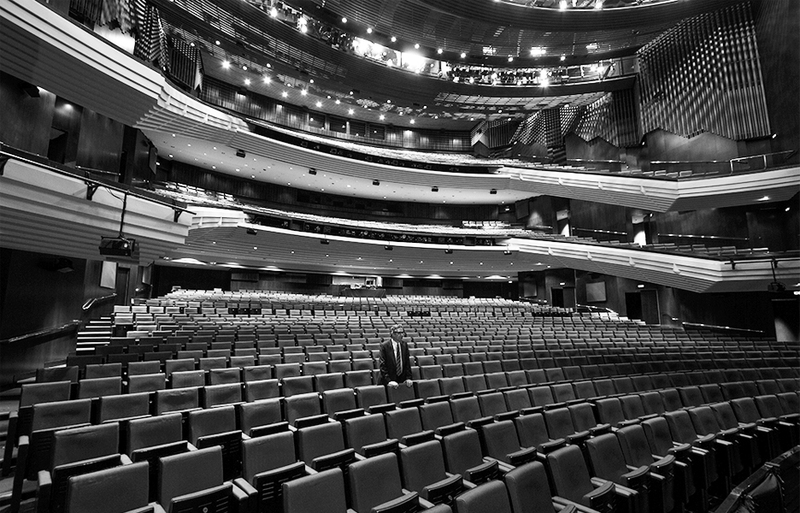 “There’s not a bad seat in the house,” remarks Kotzas; like the other staff members of the Queensland Performing Arts Centre, he loves the building, he sees it less as a static shell than an instrument; an instrument that produces performances for delighted audiences, now in excess of a million a year. 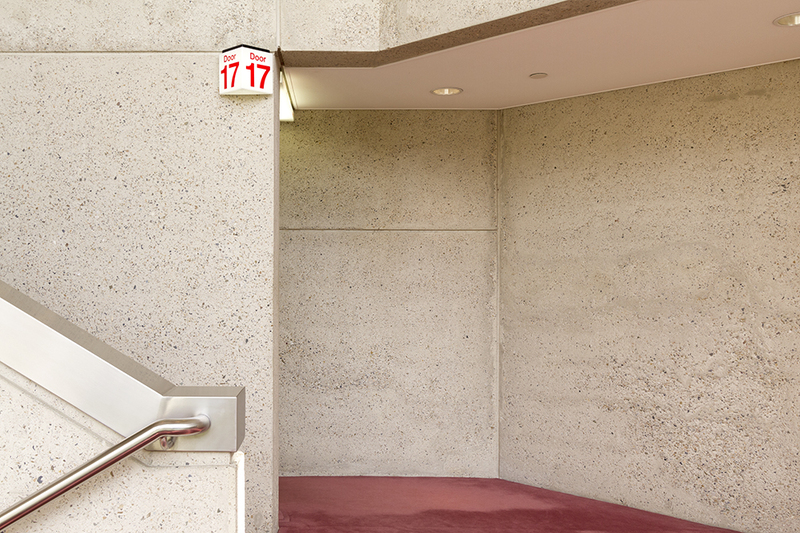 All the Cultural Precinct’s buildings only partially display their functions to the public, but the Queensland Museum’s back-of-house requirements are the most extreme. 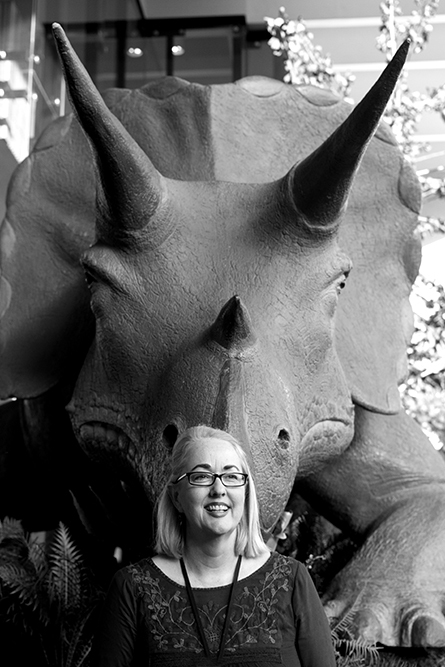 Bernadette McCormack is Senior Creative Producer, Major Projects at the Queensland Museum and has worked in the building for more than five years. 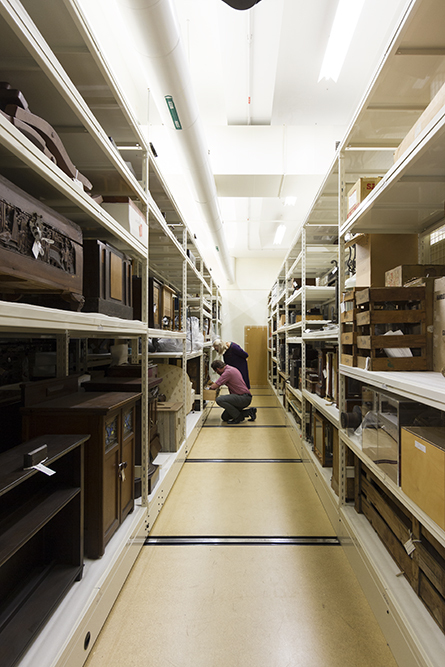 McCormack explains that the exhibitions on display at the Museum are only the tip of the iceberg; the building houses facilities for the design of its productions, the preparation and conservation of items and their storage as well as access for research. The Museum is practically bursting with amazing items that number in excess of a million, both natural specimens and man-made artefacts. “We tell the story of Queensland and the world,” says McCormack. To her, the Museum is a vital custodian of our heritage, showcased to those who wonder, and look to understand. 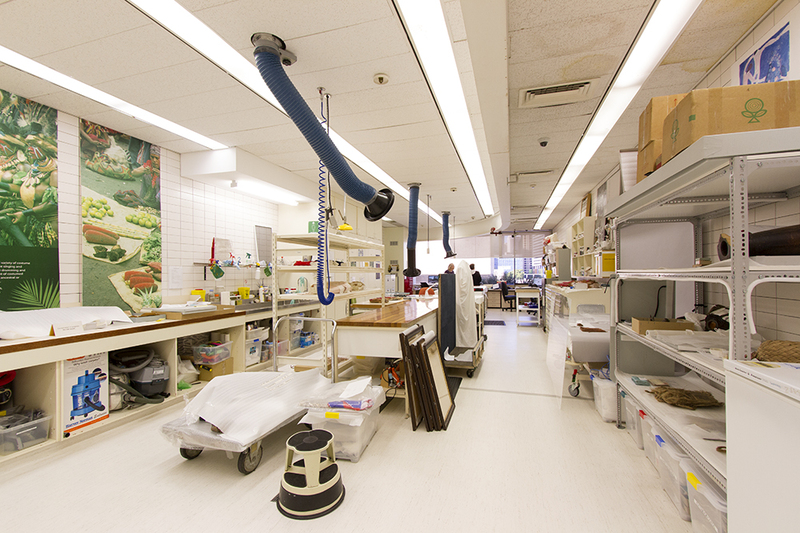 McCormack and the staff at the Queensland Museum use the vast collection to craft experiential journeys for visitors to explore. The building is flexible and robust, it has tall ceiling heights throughout and was structurally engineered to accommodate further floors above as well as scenarios such the flooding of certain areas with water, should such needs ever arise. 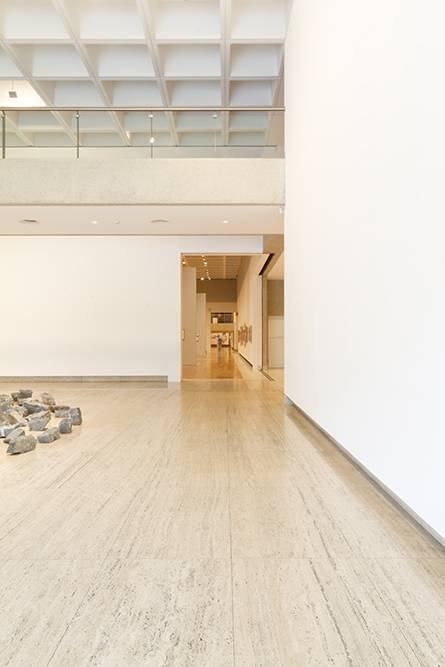 The museum is structured around a central courtyard space, which opens onto Grey Street and originally provided a visual connection between the spaces of the museum and its context. 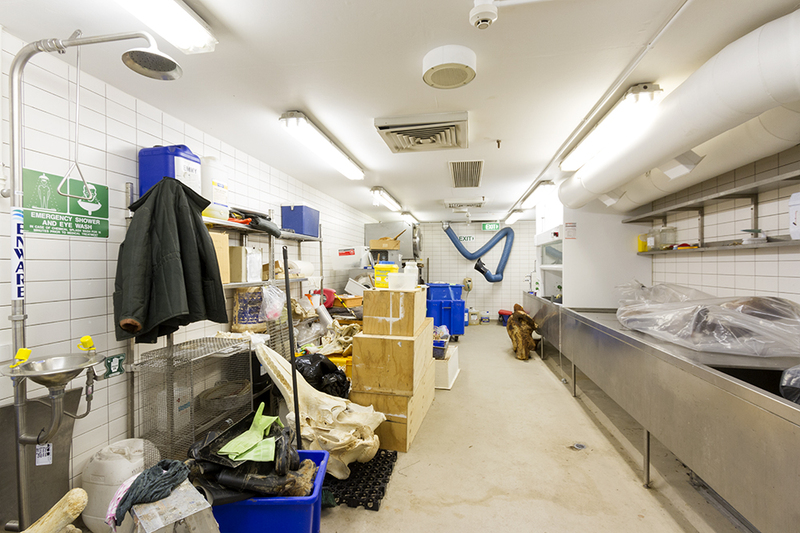 The practical workings are hidden from view and continue to function smoothly, the office spaces open onto wonderful river views and a goods lift serves the key storage, taxidermy and research spaces. But while the design of the building below the surface still performs, the tip that is seen, the exhibition areas, feel disjointed and visitors get little opportunity to appreciate the architecture – which is a shame as this building has so much more to tell. 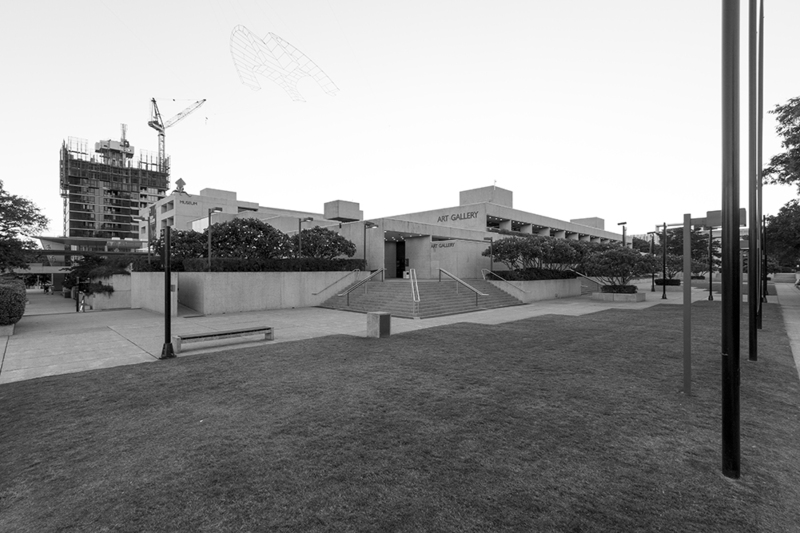 Since the construction, the community has embraced the buildings of the Cultural Precinct; the public functions of these buildings returned ownership of a privileged area of the city to the people. There is warranted criticism of the interaction between Gibson’s buildings and their context. At an urban scale the strategies deployed are the most successful raised groundplanes in Brisbane (other than Gibson’s Post Office Square scheme); but the precinct remains a victim of its division by a main artery into the CBD and Gibson’s response to these harsher edges is a severe expression of public address. Today the complex is best entered from the riverside, well above the high-tide mark rather than from the raised walkway that is most successful for visitors that have an understanding of the precinct’s logic. Certainly at an architectural scale the typologies of the buildings are not conducive to a simple relationship with their surroundings. 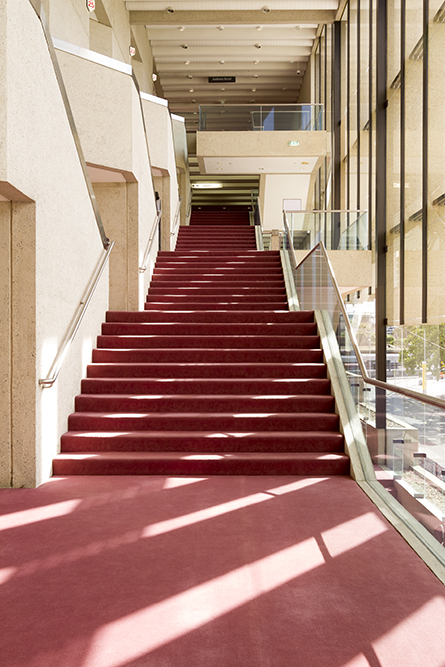 The degree of control required for theatres, exhibition spaces and specialised working areas means they are not suited for exposure to the elements. Robin Gibson’s original designs took advantage of the riverside location where possible but over time much of these connections have been obscured. Examination of the Cultural Precinct reveals architecture that thirty years later, is iconic of Brisbane and the pleasures of riverside life. Aesthetically it is appreciated for its discipline and order; its buildings provide a heightened experience, enhancing the cultural functions they contain and their surroundings. The reflections of those that occupy these buildings reveal their gift to Brisbane, producing an affinity to place in all those that use them. Hi I am doing some current research on some of Robin Gibson’s buildings, prompted by his recent passing, and was wondering whether you accept external manuscript submissions for your magazine? I have been talking over my project with Don Watson the architect-historian at SLQ who thinks what I am doing is a worthwhile & interesting project.